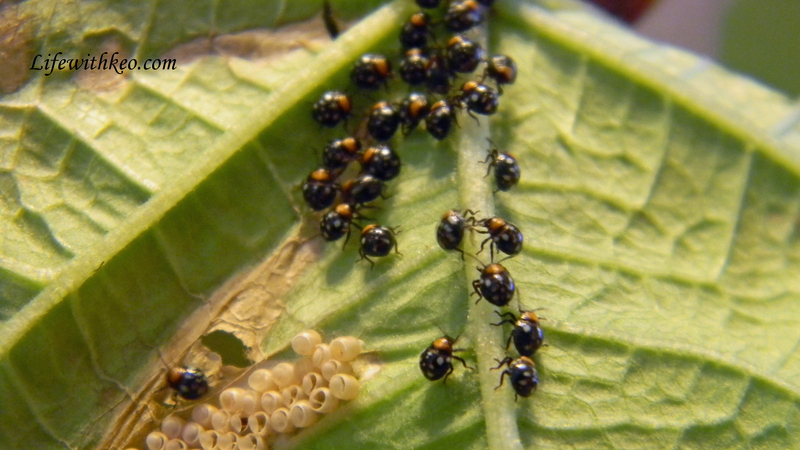 Update 6/6/15 – I have been informed that these are the 1st or 2nd instar stage of a form of stink bug. I was hoping they were beneficial but alas they are not. I found these on a green bean leaf in my garden this afternoon. I think they are so cute, probably because they are so tiny. 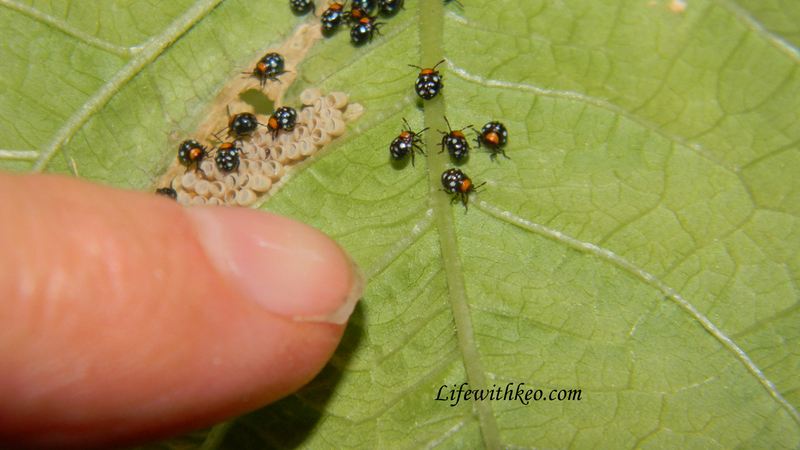 They really look like miniature lady bugs, however I don’t believe they are lady bugs as they came out of the egg like this and lady bugs have a larvae stage. I can not find any pictures matching these little creatures. I can send one into the UF with a check for $8 for identification but would rather not, lol. Have you seen one before? I really would like to know what they are. This entry was posted in Photography, Posts and tagged Stink Bug, Stink Bug 1st Instar, Stink bug 2nd instar, stink bug babies. Bookmark the permalink.